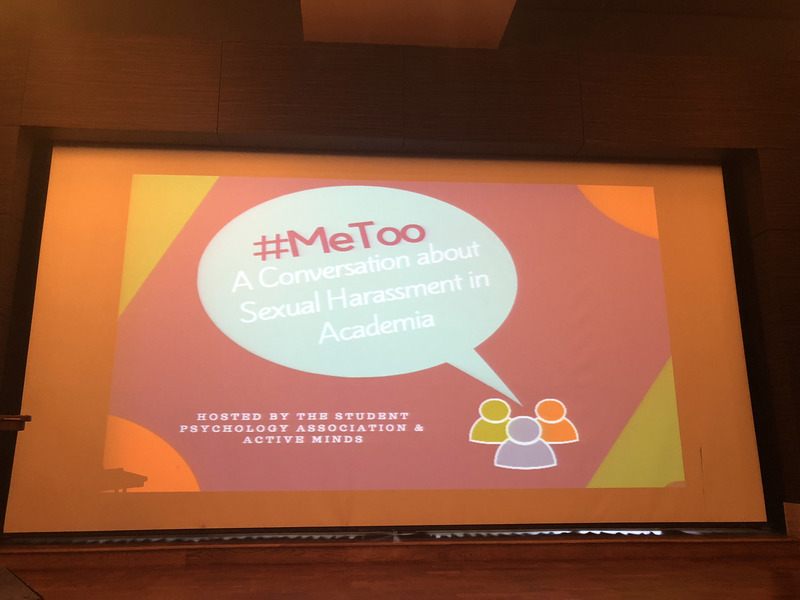 The Student Psychology Association and Active Minds hosted a panel discussion, consisting of faculty and students, about the #MeToo Movement and sexual harassment in academia. Students and faculty gathered in the SU Denman Ballroom last Thursday, April 12th, to learn more about the topics. The phrase “Me Too” was coined by activist Tarana Burke in 2006 to help victims of sexual violence and has now become the slogan of the anti-sexual harassment movement. The movement began to spread virally in early October 2017 after actress Ashley Judd accused Harvey Weinstein of sexual harassment in a breaking story written by the New Yorker. The hashtag #MeToo spread through social media, uniting victims and amplifying their stories. UTSA professor of psychology and campus coordinator for the Terry Scholarship Program and the Archer Fellowship Program, Dr. Ann Eisenberg, moderated the discussion and asked the panel questions. A member of the counseling services, Mr. Richard Martinez, was present for students to speak with during and after the event. The UTSA panel consisted of Dr. Jill Fleuriet, associate professor of anthropology and associate dean of the Honors College; Jessica Perotte, doctoral candidate in health psychology and professor and researcher at UTSA; Dr. Kirsten Gardner, department chair/associate professor of history; Evelyn Ibarra, sophomore majoring in biochemistry and administrative chair for Student United for Planned Parenthood; and Dr. Mary McNaughton-Cassill, professor of psychology and associate dean of undergraduate affairs for the college of liberal and fine arts. The opening slide of the “#MeToo: A Conversation about Sexual Harassment in Academia” presentation. The first question asked the panelists to define sexual harassment and the associated behaviors/actions. All five agreed that misuse of power was the main criterion in the definition. Gardner wrote down three words for defining sexual harassment: power, vulnerability and uncertainty. When a person of physical or institutional power coerces or pressures an individual into doing something he or she is not comfortable doing, that is abuse of their power. Conversing about sexual harassment in academia allowed many of the panelists to share their own experiences. 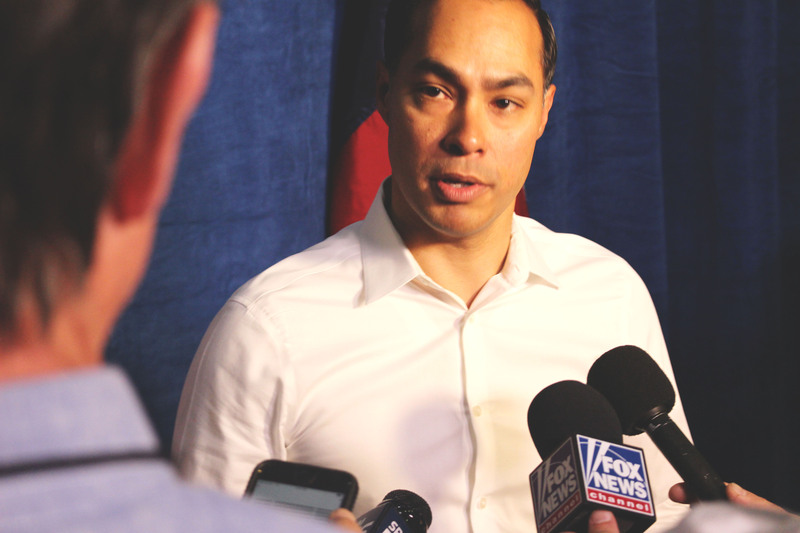 Perotte spoke about an incident that took place at UTSA. 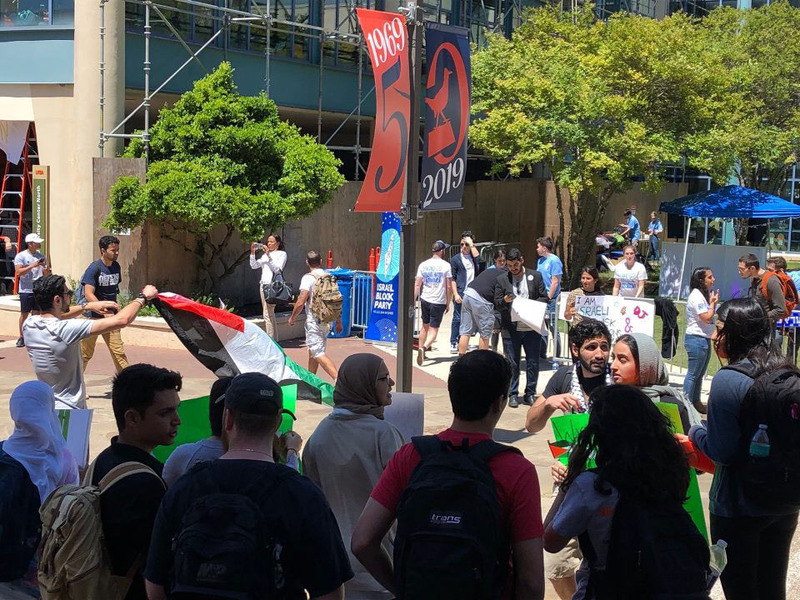 While walking through the McKinney Humanities Building, she noticed a group of guys were rating women out loud as they walked to class. Perotte described the body language of these women changing, and they were made very uncomfortable. The panelists stated the #MeToo Movement is occurring at a critical time, which they referred to as a period like the Civil Rights Movement. Fleuriet discussed how the movement has inspired a range of different women to vocalize their stories, which are then connected to other narratives, uniting as one. She also commented how the movement has broadened the audience of these stories and changed how victims of sexual violence are received. The panelists conquered that change is happening at the institutional and organizational levels mainly because of the #MeToo movement. McNaughton-Cassill and Gardner both commented how proud they were of the audience because of their attendance saying it showed to them how passionate the audience is about talking about sexual harassment and learning how they can end it. 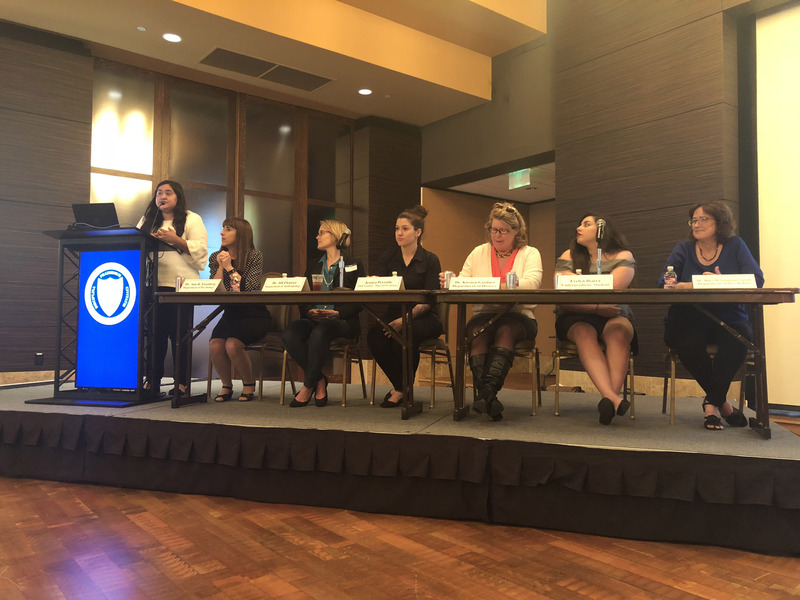 Towards the end of the discussion, the panelists offered advice to those who have experienced harassment and directed students to resources that are available. McNaughton-Cassill and Active Minds conducted a survey early last fall asking students about their thoughts on the counseling services at UTSA, and only 33 percent out of more than 200 participants actually knew where the facility was located. She and Fleuriet said counseling services and available resources such as the Title IX Office of Equal Opportunity Resources and the Behavioral Intervention Team, should be made a top priority for our students. All of the panelists acknowledged that there are plenty of resources at UTSA. Students, staff and faculty who want to file a sexual harassment complaint can visit http://www.utsa.edu/eos/complaint.html.